Our users' experience of our enterprise from discovery to task completion, and our invitation for them to return. The who, what, when, where, and how to meet our users’ environmental, physiological, and psychological needs. Non-visual and visual strategies that deliver the universal and user experience to our consumers using their devices. My name is Pat Godfrey. 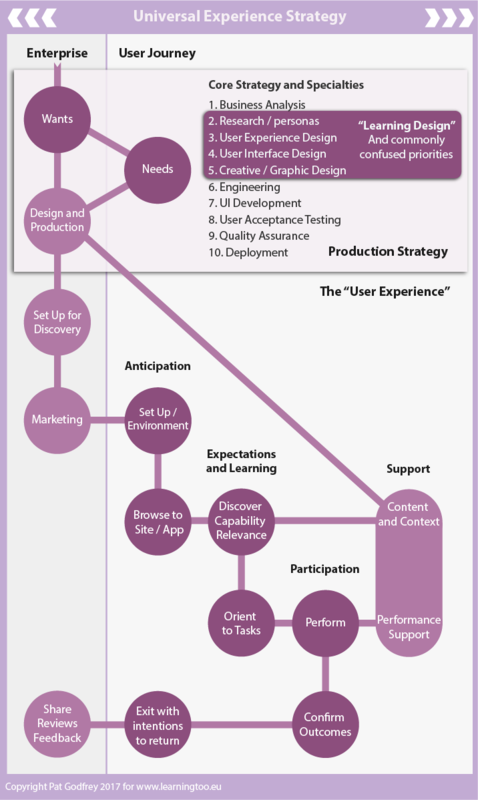 My tailored universal, user experience (UX) and user interface (UI) consultation is available to your agile web, platform, eLearning, or app design teams. I work from my design studio, or when commuting to your sites in Ireland and the UK. All client locations are considered. Pat was responsible for meeting with stakeholders and team members … to ensure that these new features were as user-friendly as possible. …Pat developed simple (and sometimes very complex using Axure) wireframes that helped the teams work out functionality and process in order to drive a useable interface. He then worked with design architects to design the actual interfaces. …Pat's knowledge of html and code allowed us to move away from some very clunky, page level coding…he just figured it out himself and insisted that our contract developers implement it. I collaborate with our users, stake-holders, product owners, and agile design teams toward an improved Universal and User experience. Together, we will create content, business and "user flows", sketches, wireframes, and interactive prototypes to illustrate, agree, and to test designs using an efficient 100% UX design workflow. Design meets science. Our designs will draw from and grow on evidence (research), analysis, best practice, and through consultation with your enterprise leaders, clients, and wherever possible our service users. Reduce cognitive overload and motor effort; make space for decision making and creating a 'sticky' environment in which to complete transactions. Build customer loyalty with an excellent Universal Experience of your enterprise. Graphic design is just one element of many that go toward creating a great Universal or User Experience. 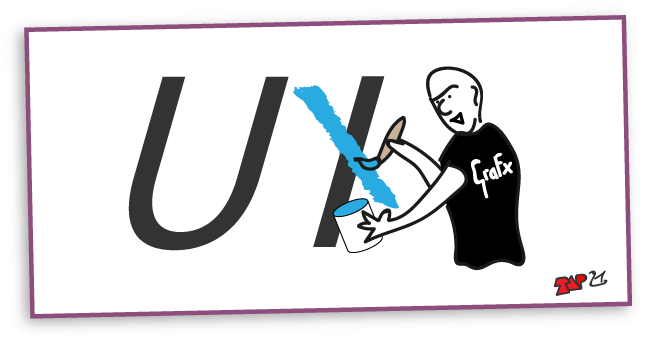 Are we selling the UX short with the 50% UI role with an over-emphasis on art direction? Offer your customers the best universal experience of your brand, values, and services. Communicate with and present information for your customers' understanding and action. Facilitate an accessible, usable, learnable and useful conversation with your customers. 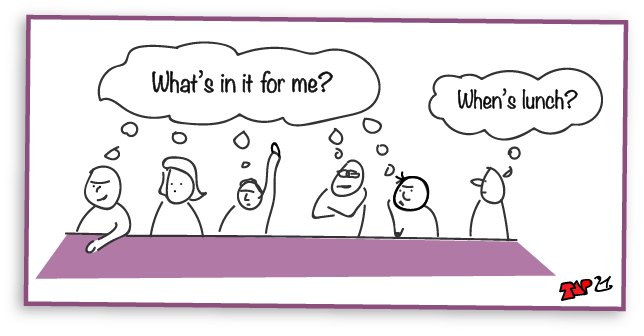 What's in it for you, me, others, and our users? What does your enterprise want from its digital products and what's in it for your consumers? Research and analysis are key. What data will you gather and interrogate and how? Why? What constraints must you work to and what opportunities might we discover? Following a 100% UX Design Workflow, your digital product will connect universally with your digital consumers from the content out - and look great. A 50% UX and 50% UI methodology will only sell the UX short. Starting design with the art direction and graphics compromises your content. Fashionable graphic design is not available to, or usable by all consumers. Together with universal and user experience design, a semantic, accessible, and usable code architecture is the top priority when designing a successful user interface. We "pretty it up" as we come to know what to decorate. Interaction is a task. Tasks take cognitive and motor effort to complete. Data selection and input tasks are usually handled by forms. Your form contents and communication should encourage your consumer to complete the data task - and then look great. Great forms communicate, collaborate, and corroborate between your enterprise and your consumers’ goals. Form and data design for UX is an integral part of your consumers’ Universal Experience of your product, service, values, and brand and exceeds the need to look pretty. Form design includes specialties such as Information Architecture, Learning Design, User Flows, Performance Support, and Error Negation and Management: 100% User Experience and User Interface design! Great experiences are inclusive of environment, device, preferences, and abilities. They begin with enterprise and user research and a thorough analysis to feed insights into the product design and development. From searching for, to enjoying your services and products, your User Interface and User Experience Design are only a part of the Universal Experience of your enterprise and brand both on and off the screen. Products may follow a fluid-responsive-design philosophy including inclusive and responsive table design, more inclusive and responsive slideshow presentations, and effective use of show and hide content strategies. Connect your consumers' online experience to your service design and business needs. Strike a balance between pushing your consumer or enabling them to pull themselves into your products and services. Design your content Information Architecture, Copy-writing, User Flows, and User Interface to support your consumers inclusively. Engage and talk with each consumer as an individual. One inclusive design. One product usable across devices. 50% UX and 50% UI is average. How does Universal Design improve our User Experience? Usability, Accessibility, User Experience (UX), and Responsiveness ('mobile friendly') are all strategies of concern today. Each strategy improves the effectiveness of our digital products and our business. Usability, accessibility, responsiveness, usefulness, and learnability are all key to inclusive digital communication. Important: Accessibility and usability are concerns for mobile device users too. Our smart-phone users will each have their own physical or cognitive differences to you. Usability is a vital aspect to IT design, and the application of human computer interaction, interaction design and human factors methods can improve the rates of IT acceptance in every age group, every culture and every profession. When emerging applications have good interaction design, they are used more readily by the whole population, but more importantly, perhaps, provide a supportive and enabling environment for less able users. As more and more applications are made available on a variety of mobile devices, the use of robust usability criteria is essential to make them accessible to anyone wanting to use them. Web accessibility means that people with disabilities can use the Web. More specifically, Web accessibility means that people with disabilities can perceive, understand, navigate, and interact with the Web, and that they can contribute to the Web. 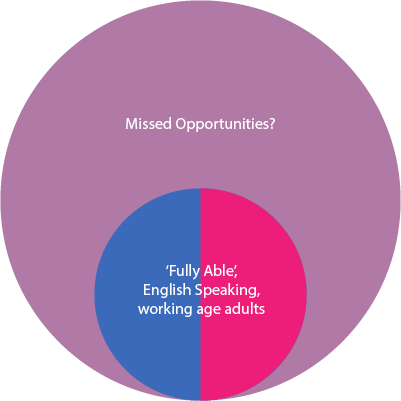 Web accessibility also benefits others, including older people with changing abilities due to ageing. Who is Accessibility and Usability for? More than 11 million people are protected by the UK’s disability discrimination law, according to the Department of Work and Pensions. Separate research by the Government’s Office for Disability Issues suggests that 15% of disabled people have hearing difficulties and 12% have visual impairments, and many others have physical or cognitive impairments which may impact on their use of web products. There are also many other non-disabled people who could benefit from more accessible web products including, people with a low reading age, and people who momentarily do not have use of one of their senses due to illness or because they need that sense to do something else at the same time. Every day, you use bad products. Websites that don't make sense. Doors that open the wrong way. Things built the easy way or cheap way, rather than the right way. …big companies employ mediocre designers as well as excellent ones. There’s no guarantee that a solution is right just because it’s on a famous website. It might just be there because no one got around to changing it. P.2, P.118, Bowles, C. and Box, J, Undercover User Experience, New Riders (2011). Over 80% of Interweb content is consumed on mobile devices. The reflex action is to create mobile-only products; inevitably leading to a different experience and increased scripting costs for two steams: "desktop" (including laptop and notebook) and "mobile". Note: there are places where the Lores may blur as techniques in Fluid Responsive design emerge. This page is Fluid Responsive. Make your browser smaller and larger, or rotate your device to experience the responsive page behaviours. 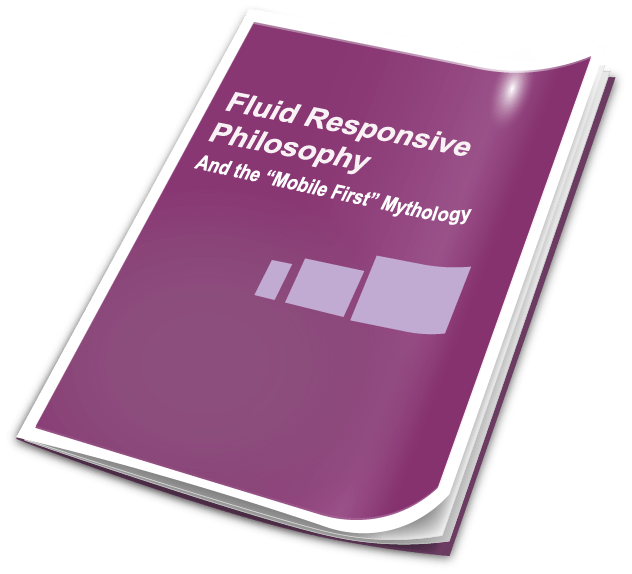 Learn more about my Fluid Responsive Philosophy. ...By stepping back from the individual features and looking at the product, service or environment as a whole, designers are in a position to investigate alternatives providing equivalent experiences to users. Example: The content of a video, even with closed captions may benefit an alternative presentation channel such as an HTML page or dialogue to enable all our users to consume the content at their own pace, and to refer to it easily later. means, in relation to electronic systems, any electronics-based process of creating products, services, or systems so that they may be used by any person. In other words, we must endeavour to make our digital products as accessible, usable, learnable, and useful inclusively for everyone from the get go. Why is a great User Experience essential? Great User Experience, Universal Experience and Service Design has never been more needed by enterprise. Long ago, our digital product users needed to learn to complete interactions that differed from product to product. They were encouraged to think themselves digitally illiterate. Today, our users are digitally savvy. They expect an accessible, usable, learnable, and useful web or app interface right from the get-go; one that delivers the same experience across their devices. They instinctively know when something does not communicate or engage with them. They know to stop and to go find another service: there are so many to choose from. Not all of today's digital product users experience your products the same way you do! It is important to have an inclusive digital strategy. Not all of our creative UI jockeys deliver that? 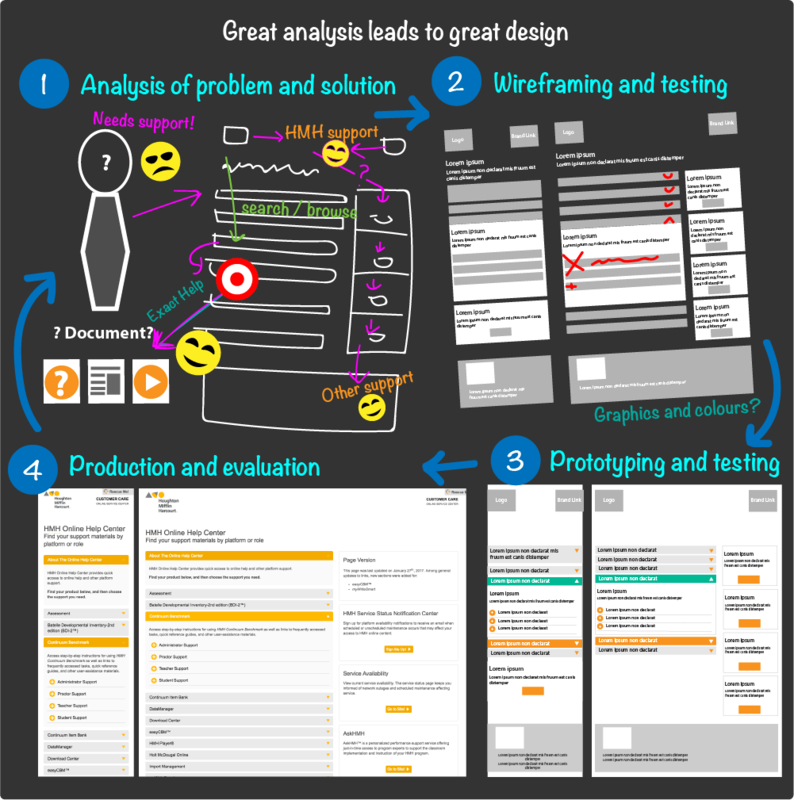 Great analysis leads to great design. It's simply more efficient. Working hard on the analysis and understanding our users' problems early leads to a great product architecture, which is accessible, usable, learnable, and useful. Early and iterative testing of hypotheses is essential to getting the basics right. Analysis is often the least well resourced and most compromised phase of design. We can make many informed assumptions, but there is no substitute to working with our users. 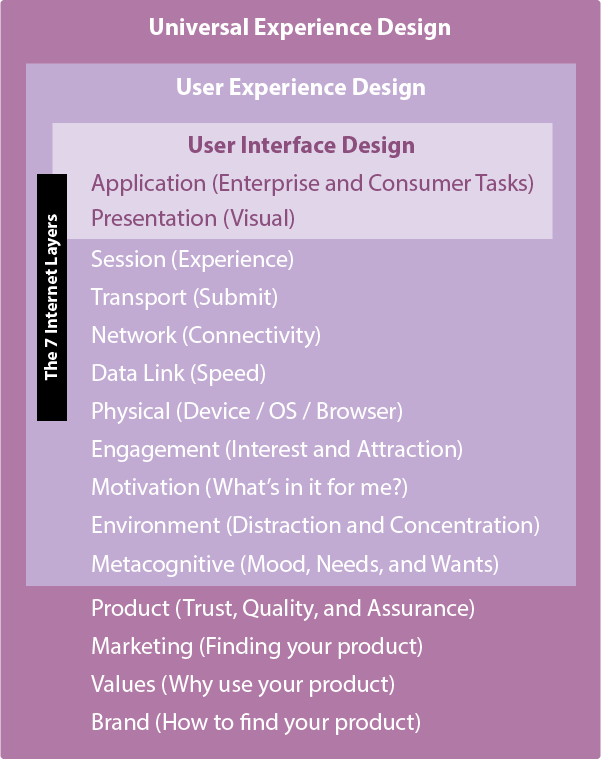 Where does User Interface design fit into our User Experience design? Emphasis on the User Interface design and the visual design (at expense of User Experience Design) may result in the failure to achieve the Universal Experience desired by the enterprise. Note: Read a full description of this image. Why is inclusive and universal design so important? Not all customers interact with your presentation in the same way. Beautiful visual design should complement an accessible, usable, learnable, and useful architecture that helps to signpost a pathway through content. You will rightly want a "visually stunning design". But successful User Experience Design is not only a visual discipline: it must be inclusive of factors that affect our users experience such as sensory, cognitive, and motor ability, their environment, language, and even their mood. Our products must be useable, learnable, and useful as well as accessible and engaging. What proportion of your available market are you not NOT designing for? 1 million people may be deaf or blind. We must research who our digital product users are and design for their needs inclusively to support your enterprise's Mission. What makes digital strategies and products work? There are many intertwined factors and design considerations that affect your digital product's success, both on and off the page. All affect your customers' learning too. The more research done around your enterprise, customers, and end users, the more insights you gather into their wants and needs. Analysis finds common avenues on which to found levels of communication, cooperation, collaboration, and corroboration. You may prove or dispel preconceptions, prejudices, and 'borrowed beliefs' moving forward toward a user-centric design. Did you know that 10% or more of your customers may have learning or physical differences to how you access digital channels? Do your website pages, platforms, videos, emails, or other digital channels offer everyone access to your message, service, and products? Get Accessibility right and Usability should follow, but is your message clear? Can your website visitors navigate and understand your content? Usability depends on competent interaction design (IXD), great content, and accessible and responsive architectures. Our digital content consumers - your customers - access content in different ways, but do you signpost these pathways for them in what is logical to them and not only as appears logical to your designer? Does it pull in your customer, or push them away? Is your message clear from the top of the page? Is your content laid out as others will see it, or does it clutter your pages like fliers in a doctor's surgery? Must our customer click to find where you do business from or how to contact you? Pictures can say a thousand words, but can everyone access those words in a picture? What values do you want your customer to share with you? What is your business' edge and advantage over competitors - and we have so many competitors in our expanding digital World. Make social media work for you! We can optimise our website search position, but there is so much more to getting your message out. Does your Facebook, Twitter, Pinterest, or other social media community include millions? Is your online community only limited to your locality? Do your social media strategies share and promote the same goals, values, and brand? 'Mobile Friendly' is the new buzz. It's not complicated. It's just designing things properly - how they are meant to be. Responsive and inclusive! Customers need to know what they are getting, how much it will cost, and that they will receive their purchase in good time: your communications must be and appear trustworthy. Do we know that you package and send your product safely and quickly to your customer's home? Are you using a trusted payment method? Is your stock sufficient to avoid any delay in dispatch? Can your digital content consumers visit your premises: where, when? Do you act immediately on your negative reviews? Your customers learn of, engage with, and experience brands, values, and products through your communication channels and their human computer interaction (HCI) with them. Pat Godfrey understands that not all customers interact with your presentation in the same way: beautiful visual design should complement an accessible, usable, learnable, and useful architecture and an orientation to, and pathway through content. Knowledge is the sum of experience and learning. Click behaviours may not push the knowledge needed for judgement, decision making, and to convert clicking into buying behaviours. Useful content and processes will. Build your customers' experience and knowledge of your enterprise by designing your service universally. 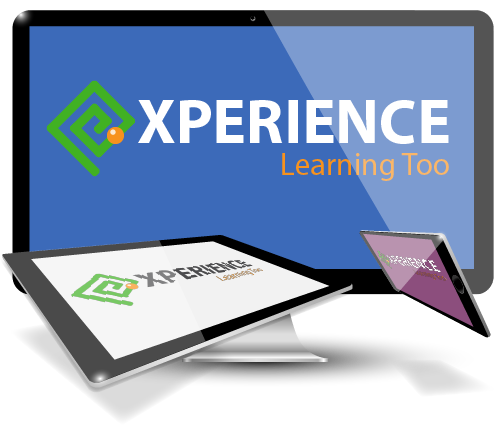 Let your customers Experience Learning Too! Discover what I do and how I think from my articles. They form a part of my Portfolio and play a strong role in my continuing professional development (CPD). Topics include universal and user experience, interaction design, writing for the web, and service design. "Pat is a well-educated, hardworking and innovative person, who has been re-assigned by our client for 5-years. 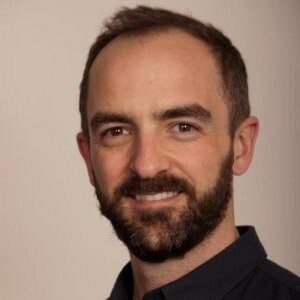 He has performed a variety of roles, including Learning Designer, Lead Designer, User Experience Consultant and Interaction Designer, specialising in the UX and IxD of platforms for multiple Agile teams. 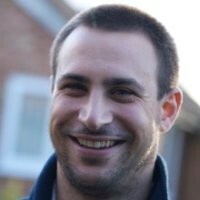 He has a passion for Learning, he is self-motivated and I would not hesitate to recommend him to anyone who is looking to utilise his skillset in the foreseeable future." 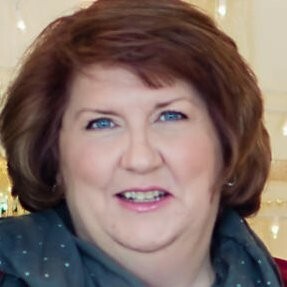 "Pat possesses the key traits of a great design lead: a team player who listens and is an active practitioner. I have worked with Pat intermittently over the years and never failed to learn something. I was impressed with his enthusiasm to overcome challenges with a smile, and to go the extra mile to delight the BAs and Product Owner. I hope we cross paths again." 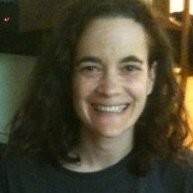 "Pat brought creative UX design to our help landing pages, coordinated and implemented Google Analytics across multiple projects (divided among 5 Tech Writers), performed every task and responded to every request with thoroughness and follow-up, and, in general, brought freshness and humor to our team discussions that I will truly miss. He was a pleasure to work with!" "So impressed with your work Pat. I wish you were on the UX team as your ideas come so natural. With...UX there is a lot of back and forth and opinion differences that we often agree to disagree. But every project I have worked with you on, it’s been amazing...it makes my job so much easier and I believe the customer experience is top notch. Thank you!" "Pat follows a fluent methodology when investigating and designing, synthesising information well and conceptualizing solutions in a usable and often visual way. He... writes succinctly and clearly, has excellent diplomacy and people skills and demonstrates the ability to discern business development opportunities." "I worked alongside Pat for a year and in this time he showed himself to be diligent, intelligent and determined. 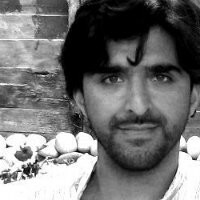 He has a creative mind and a strong academic learning design background that he brings to bear with an infectious enthusiasm." Advertising appears on my website. If you click on them I may get paid. Note: Ad topics are selected according to what is relevant to our industry. Ad Sense gives limited control over what I can block. Please report bad ads.